Warning: this dish is addictive. The super savory cumin contrasts with the sweet pomegranate syrup and meaty eggplant for a killer vegetable side dish with bold Middle Eastern flavors. 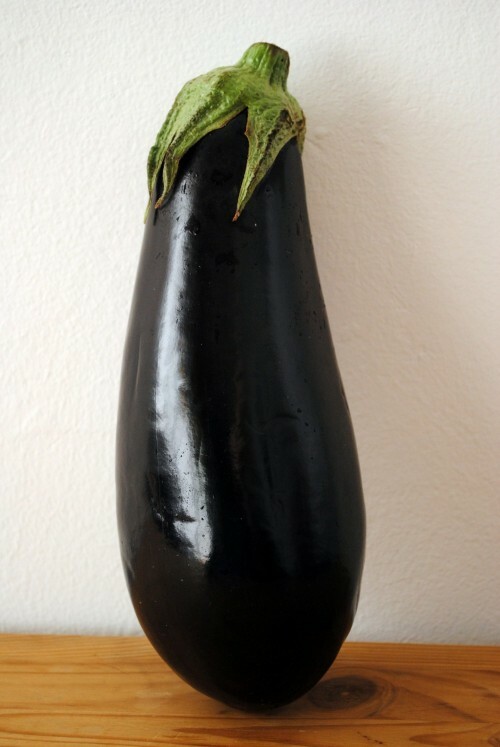 Since most of the cooking is done in the oven and the eggplant can be served at room temperature this is an easy side to make ahead for company. I served it with Butternut Squash and Sage Cannelloni, but it would be an equally good accompaniment for braised meat, roast chicken, herbed couscous, or a light salad. A dollop of labneh on top of each eggplant (a la this recipe) is also really good. Preheat oven to 350°F. Heat olive oil in large nonstick skillet over medium-high heat. Working in batches, sauté eggplant until brown in spots and softened, 2 minutes per side. Transfer to large rimmed baking sheet. Repeat with remaining eggplant, adding more oil by tablespoonfuls as needed; arrange eggplant in single layer on baking sheet. Mix cumin and paprika. Sprinkle eggplant with cumin mixture. Roast until golden and cooked through, 30 minutes. 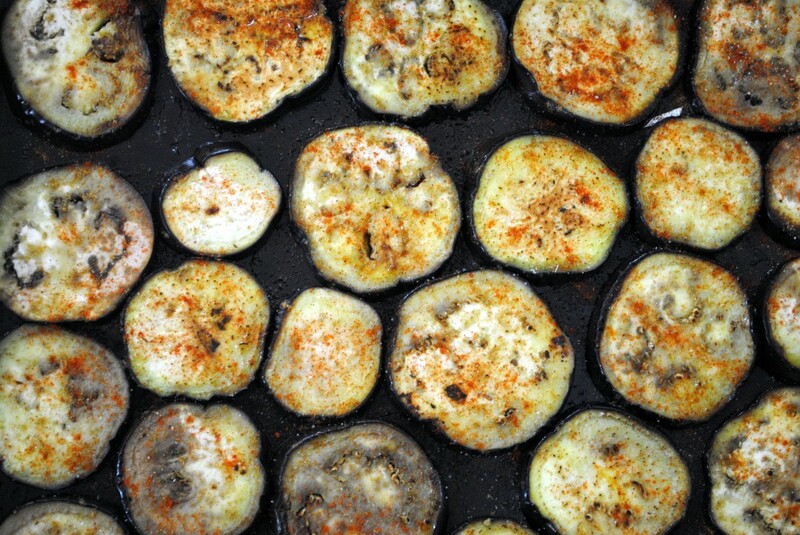 Remove eggplant from oven; sprinkle with garlic. Arrange eggplant on platter and drizzle lightly with pomegranate syrup. Serve immediately or at room temperature.